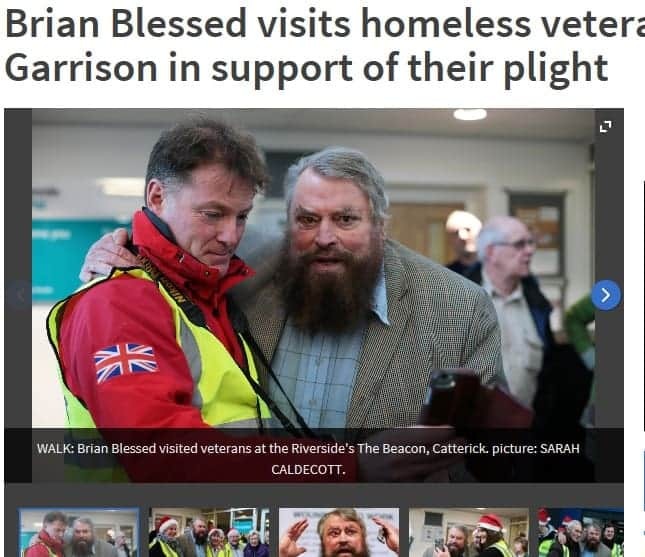 Cause UK MD, Clair Challenor-Chadwick, invited actor Brian Blessed to launch Walking With The Wounded’s (WWTW) Christmas campaign at Catterick Garrison. 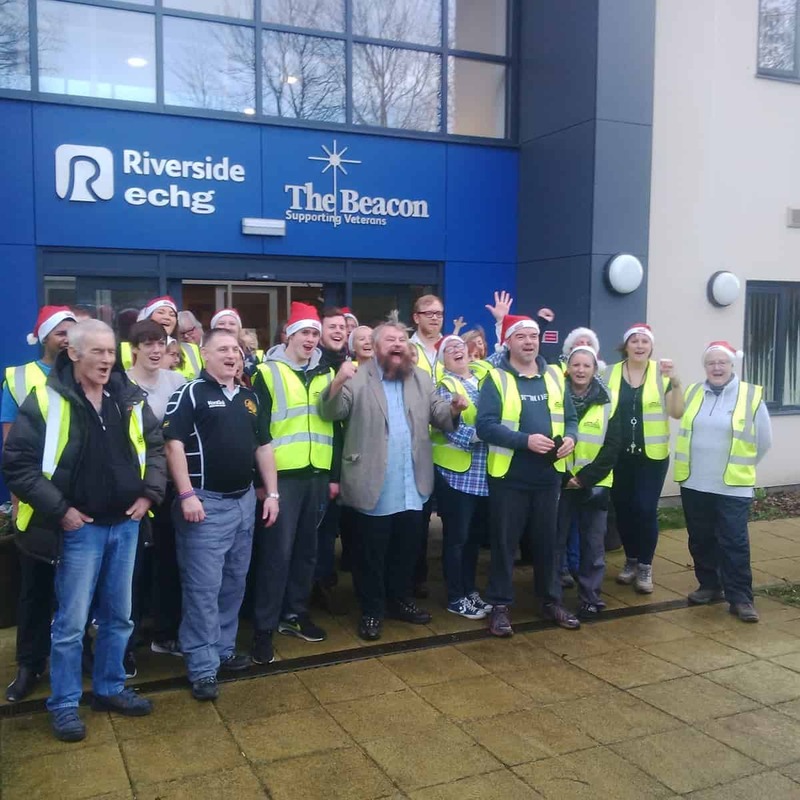 The actor joined supporters, soldiers, veterans and their families at Riverside’s The Beacon, a specialist housing scheme at the garrison for veterans who have been, or are at risk of, being homeless. WWTW helps fund essential services at The Beacon, such as Employment Mentors for veterans at the scheme. The adventurer, explorer and actor entertained crowds with a wealth of stories, from climbing Everest with Prince Harry to his time in the RAF, eating omelette with the Prime Minister and how he was asked to bellow ‘Gordon’s Alive!’ by a Russian submarine commander. You can watch some of his stories on the Northern Echo HERE. and a film made by BFBS TV, which has been shown worldwide HERE. Blessed spoke movingly, and with passion, for his support of the armed services – much needed in these ‘dangerous times’ until ‘the world evolves’. He filmed a Christmas message to the troops for Forces TV. Cause UK also worked with the Daily Mirror, who attended and filmed at the event to help the national campaign to raise £250,000 by encouraging people to do sponsored walks. The money will be used to build more homeless programmes across the UK.